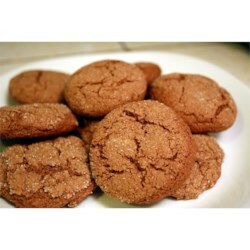 "Spicy and chewy Ginger Snaps made with all whole wheat flour. Yummy!!" Make these 5-star ginger cookies for Christmas—or any time. Delicious! Subbed 1 cup white sugar and 1/2 cup brown sugar for the 1 1/2 cups of white sugar.